SANTA ROSA, Calif. (October 18, 2017) – With firefighters gaining control of fires throughout Sonoma County, the Grape Growers Foundation (SCGGF) announced today it is partnering with the Sonoma County Farm Bureau to establish a housing recovery fund for ag workers and their families who were displaced from their homes by last week’s devastating fires. The fund will serve to assist ag workers who lost their homes in the fires by helping to fund the re-establishment of new households. 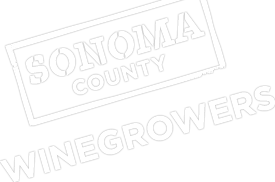 “Obviously, the fires have impacted everyone who lives in Sonoma County in a variety of ways and for our ag workers, the impact was particularly severe. Knowing that a home provides a family with stability and comfort, we are committed to getting all of our displaced ag employees into temporary housing as quickly as possible,” said Karissa Kruse, president of Sonoma County Winegrowers, who is also serving as the executive director of the Sonoma County Grape Growers Foundation. The fund has benefited from initial investments from local grape growers and supporters including $25,000 from the John Jordan Foundation and Jordan Vineyard & Winery and $25,000 from American Ag Credit.